The impact of automobile accidents does not end with the very experience. This is the reason why your Gold Coast chiropractor at Hinterland Chiropractic recommends you to have a complete examination of the musculoskeletal system so that hidden injuries can be detected. Regardless of the impact or the speed, it is always possible that the passenger can be injured in many ways. Leaving the injuries undiagnosed might cause you a lifetime of pain and agony. For this reason, chiropractic intervention is really necessary. Whiplash could cause misalignment to the vertebrae, discs, nerves, muscles, joints and ligaments of the neck. Whenever there is misalignment, it may result to one of the common findings in whiplash injuries called vertebral subluxation. Fortunately, your doctor of chiropractic can help you in cases like this. The effects of whiplash may not show right away. Sometimes it takes months or even years from the day of original trauma before the patient start feeling the effects. Researchers call this phenomenon as DOWAD or Delayed Onset Whiplash Associated Disorder. 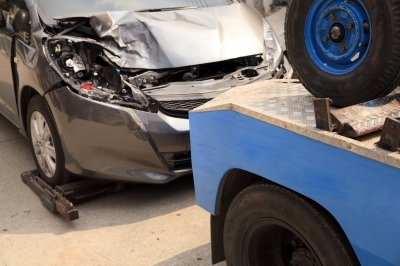 Motor vehicle accidents usually result to back injury or low back pain. This is true in cases where there is rear-end collision hitting a stationary object. Depending on the force, the impact can result to multiple vertebral subluxations. During checkups, both the spine and the neck must be properly x-rayed because automobile accidents can be traumatic to both the neck and the head. Headaches are often times accompanied with neck injuries. Cervical vertebral subluxations are also associated with it. All of these can lead to nerve interference and muscular dysfunction. Our middle back skeletal structure is composed of 12 vertebrae and 12 pairs of ribs. In an auto accident, each vertebrae attached to a corresponding pair of ribs can be misaligned or fractured. Through a gentle chiropractic adjustment, your chiropractor moves the bones back into place. Spinal Adjustment can help the patient relax the connecting muscles, which is an important step in reducing middle back pain and improving mobility. For this reason, chiropractic consultation from your Gold Coast Chiropractor is important so that your spinal alignment will be properly examined. Visit Hinterland Chiropractic for an excellent chiropractic care. Call us on (07) 5527 3133 to book your appointment today and claim your initial chiropractic consultation for only $25.